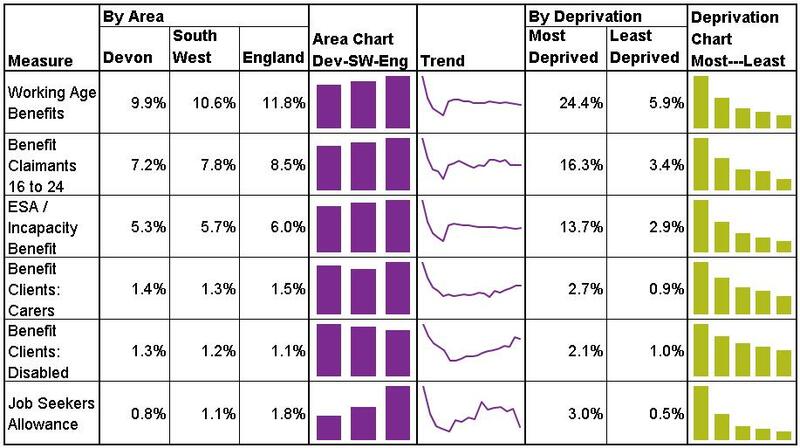 Table 5.3 shows the percentage of the working-age population claiming benefits in Devon, compared to the South West and England, along with trends over time and differences by area deprivation. 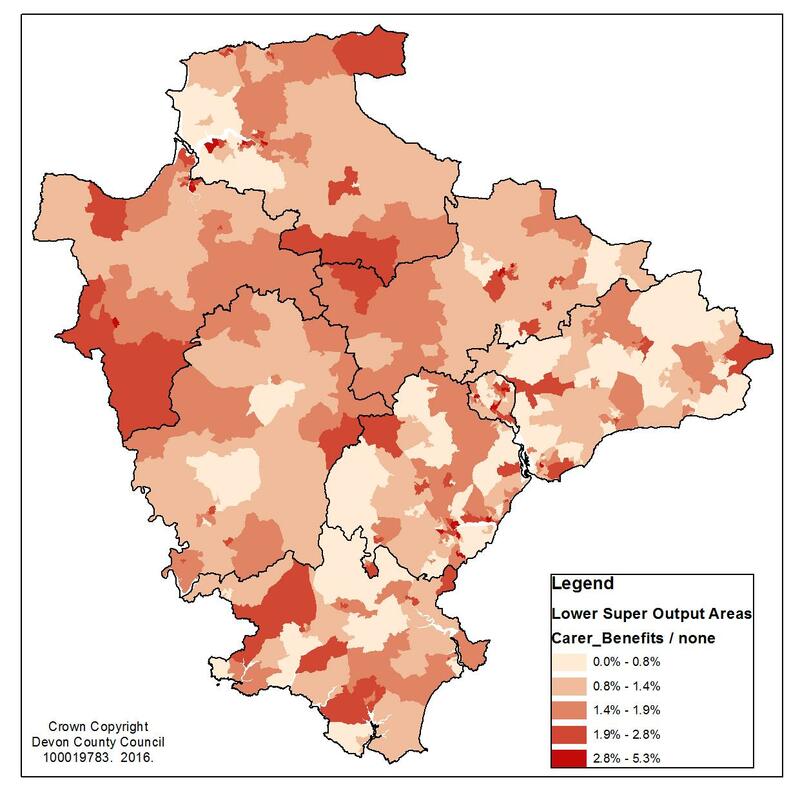 This reveals that overall benefit claimant levels, young claimants, employment and health-related benefits (Employment Support Allowance and Incapacity Benefit) are below regional and national averages. 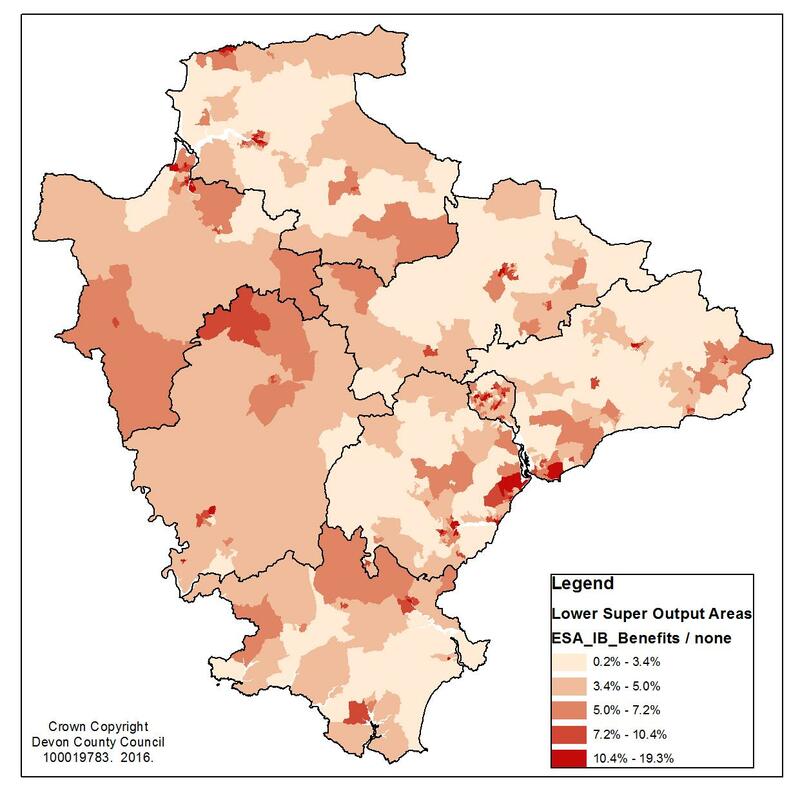 However Devon has proportionately higher levels of benefit clients who are disabled or carers. 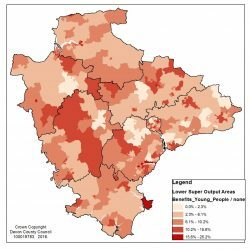 Significant differences exist between areas of Devon based on area deprivation. 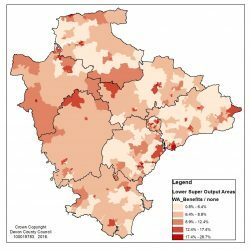 All benefits – highest levels seen in urban centres and more deprived areas. 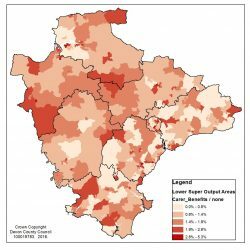 Young people – highest levels are in deprived urban areas and remote rural areas. 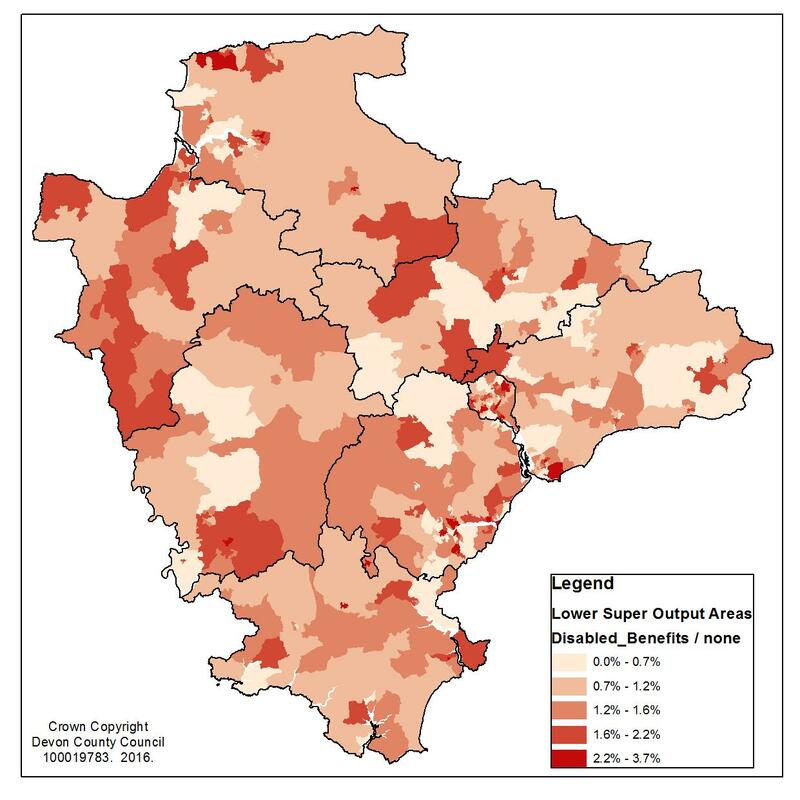 Employment Support Allowance (ESA) and Incapacity Benefit – highest levels in more deprived areas of Exeter. Higher levels were also seen in Dawlish, Exmouth, Bideford, and rural areas of North and West Devon. 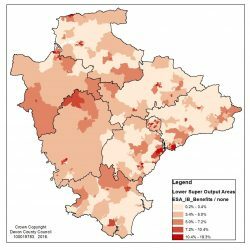 Carers – higher levels of benefit claimants who were carers were seen in urban centres and in remote rural areas of North and West Devon. 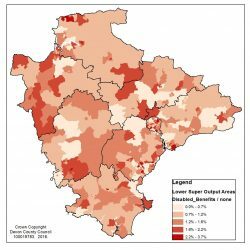 Disabled – higher levels seen in Ilfracombe and in rural areas across Mid Devon, West Devon and Torridge. 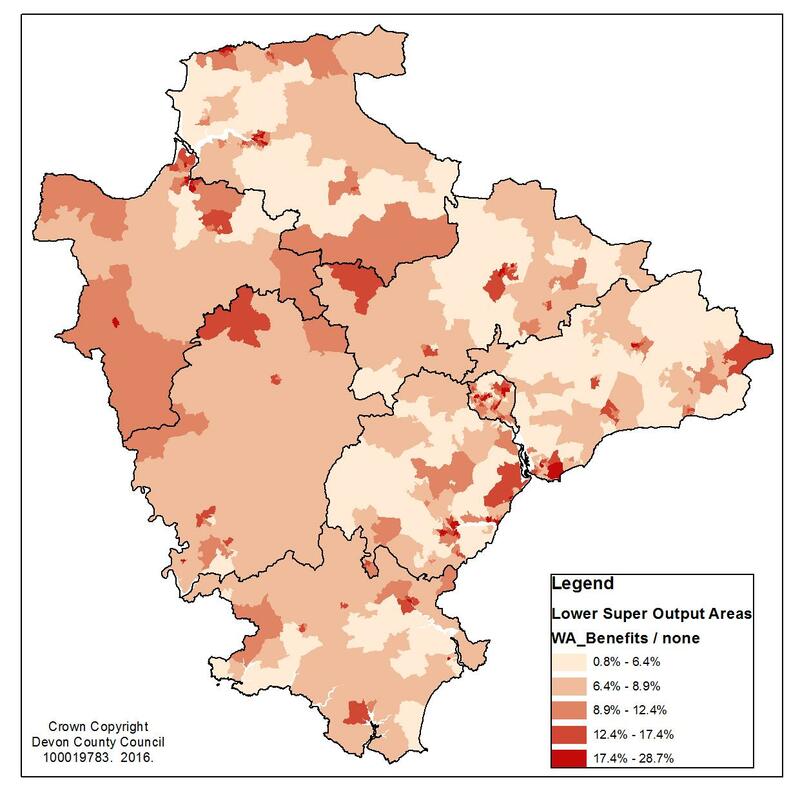 Figure 5.12 highlights the predominant reasons for claiming health-related benefits in the South West. This highlights that mental and behavioural disorders make up just under half of cases, with musculoskeletal conditions also featuring prominently.